Allen Coding Compact Hot Foil coders offer consistently high print quality on a wide range of substratum, an extensive range of print areas and speeds, and a quick change foil magazine that reduces downtime. These coders also offer a patented foil indexing system that minimises foil wastage and a variable temperature and dwell setting, giving excellent print quality control. 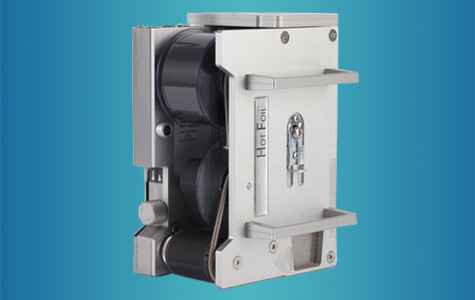 The 40/25c hot foil coder is the entry level hot foil coder capable of reproducing a consistently high print quality on a range of substrates at high speeds. The printer is suitable for printing expiry dates, product identification information and lot/batch numbers. The printer is suitable for use in many production environments including the food, pharmaceutical and cosmetics industries and is well suited to numerous industrial applications. Read more... The Allen Coding Super Compact Hot Foil printer, with digital technology, offers highly controllable and unrivalled print accuracy for a consistently high print quality. Its reliable high speed operation reaches speeds of up to 800 prints per minute. Its max. print area is 50 x 30 mm. 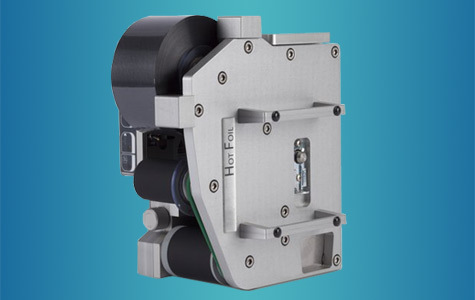 The Allen Coding Super Compact Hot Foil printer offers the best hot foil coding performance available with many advanced features as standard.